Durkan caught flak for her police-chief selection process and joined the City Council in a U-turn on the city's controversial head tax. More recently, the council adopted the mayor's police contract and her first budget, and voters approved a new education levy. 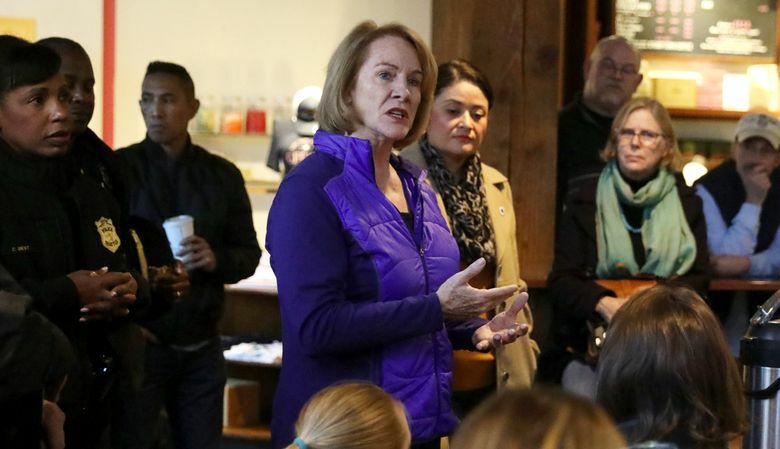 When Seattle residents first learned that Mayor Jenny Durkan wouldn’t consider Carmen Best for the job of police chief, at a news conference that drew intense blowback from community groups, Durkan was absent, initially leaving others to take the heat. This month, as the City Council weighed a police-union contract opposed by many of the same groups, she was everywhere, rallying for the contract with Best at her side. 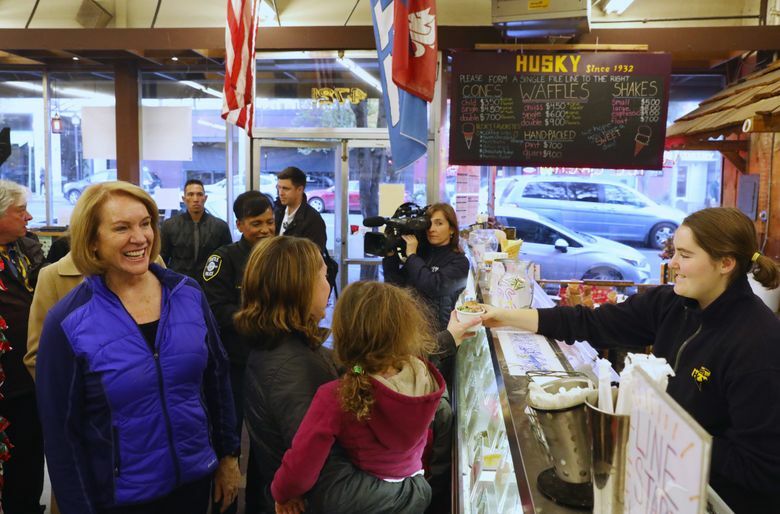 Durkan has struggled through some storms in her first year as mayor, scrambling to appoint Best with a rejiggered selection process and working to engineer the repeal of a controversial head tax on large businesses less than a month after signing the measure. But there are signs the former U.S. attorney, who took office last Nov. 28, is building political momentum. In the past month, the council passed her police contract and her first budget, and voters approved her massive education levy, which will grow Seattle’s subsidized-preschool program. Opinions differ on whether an empowered Durkan will take the city in the right direction, with some critics accusing her of doing too little to address gentrification and others pressing her to get tougher on crime and unauthorized camping. The pact she brokered by halving the size of the head tax pleased almost no one: Activists slammed her for appeasing Amazon and mega-rich Jeff Bezos while business leaders and frustrated residents pushed to kill the measure. The tax would have allowed Seattle to build more low-income housing and provide more homeless services. “It just seemed like she was supporting wealthier folks,” said Yin Yu, an anti-gentrification organizer with the Chinatown International District Coalition. Several Seattle departments still lack permanent directors, the First Avenue streetcar line remains in limbo and homelessness is a continuing problem, with Durkan set to miss by far a key campaign vow — 1,000 tiny houses in her first year. The Seattle Human Rights Commission last week called on the administration to stop evicting people from unauthorized homeless camps. Polling during the head-tax debate apparently put Durkan well ahead of the council in favorability, though, and her term has brought stability to a city rocked by Ed Murray’s sexual-abuse scandal. The mayor can point to accomplishments, including a number of promises met. Her administration has added hundreds of shelter beds, cut Seattle City Light’s customer-complaint backlog and put transit passes in the hands of every public high school student. A new unit will investigate city-employee allegations of workplace discrimination and harassment. “We’ve probably done more to reform government internally in a year than has happened in Seattle in a very long time,” Durkan said. The compromise collapsed, however, as Amazon and other companies bankrolled a referendum effort to nix the measure. They were bolstered by voters with concerns about City Hall spending. Reversing the tax would have been awkward enough, but Durkan and council members also courted controversy by conferring behind closed doors to rush the action. Councilmember Teresa Mosqueda, who voted against the repeal urged by the mayor, said Seattle giving up nearly $50 million in annual revenue was a missed opportunity. “We cannot warehouse people in shelters forever,” she said. “We have to have more revenue to invest in housing.” Durkan said canceling the tax saved the city from a divisive ballot battle. A second storm brewed in May when Durkan advisers trimmed police-chief finalists recommended by her community search committee, omitting Best. The move drew fire both from rank-and-file cops and police-reform activists. As with the head tax, the blowback appeared to catch the mayor off guard, and as with the tax, the mayor swerved, bouncing Best back to the top of the list. Though she risked being branded a backpedaler, Durkan said the decisions were right because she acted on what constituents were telling her. To date, the mayor has taken part in more than 200 community events, meetings and walking tours, her office said. Erin Goodman, Sodo Business Improvement Area executive director, was happy with the attention her neighborhood received early this year, applauding a pilot program to clear unauthorized vehicle camps. Goodman said she saw a “hard drop” in engagement as the mayor grappled with the head tax and chief selection. “I think she walled herself off,” Goodman said, who thinks the administration is now revving up again. 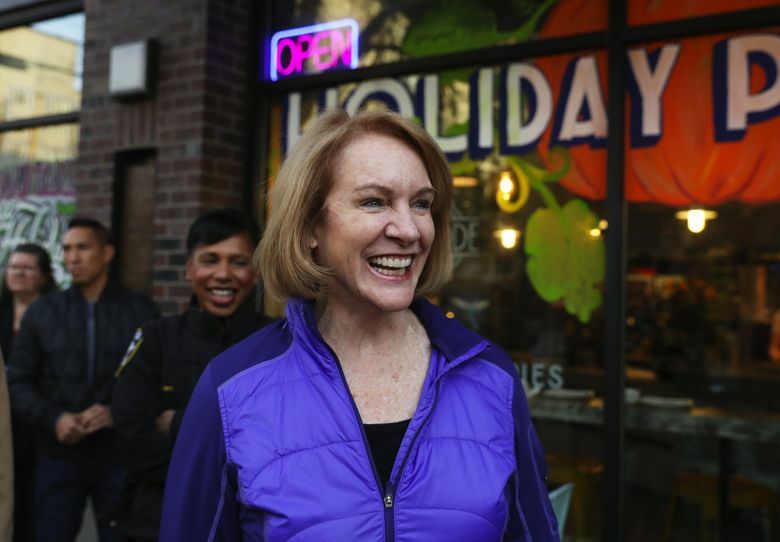 Three marquee wins for Durkan in November should give her a boost. 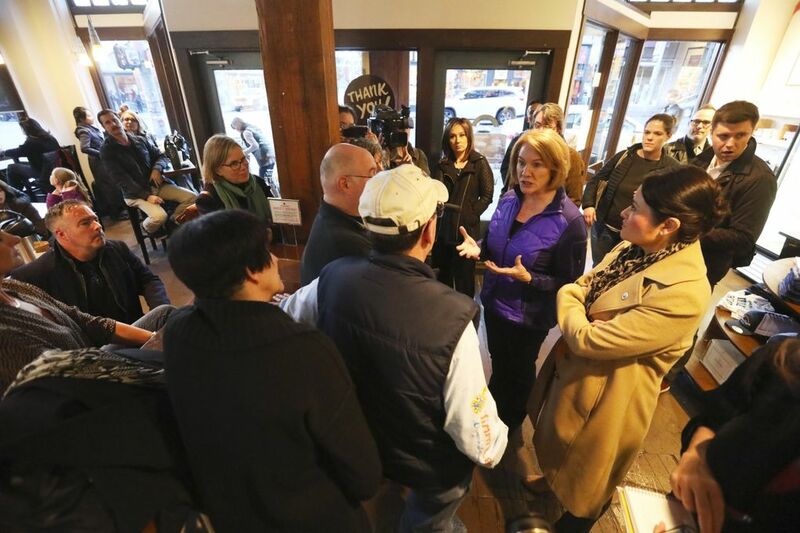 The education levy she proposed passed with nearly 70 percent of the vote, setting the stage for more than $600 million in spending on K-12 and preschool programs while also paying for the free community college she promised as a candidate. Durkan can’t claim all credit, but the levy’s backers stamped her face on their campaign mailers and she described the victory as her top moment. “To have it pass with voters by that margin just affirms how great Seattle is,” the mayor said, adding, “Getting those kids at preschool ready to learn, really working to close the opportunity gap and then getting the two years free college” will help youth snag well-paying jobs later on. Durkan prevailed again when the council almost unanimously approved her police-union contract. The Community Police Commission, 24 community groups and the Seattle King County NAACP opposed the deal, saying it would water down reforms meant to stamp out police brutality and misconduct. But Councilmember Lisa Herbold provided a key vote the day after Durkan stumped with Best in Herbold’s district. In a West Seattle Junction cafe, locals applauded when the mayor told them the contract would mean raises for cops. 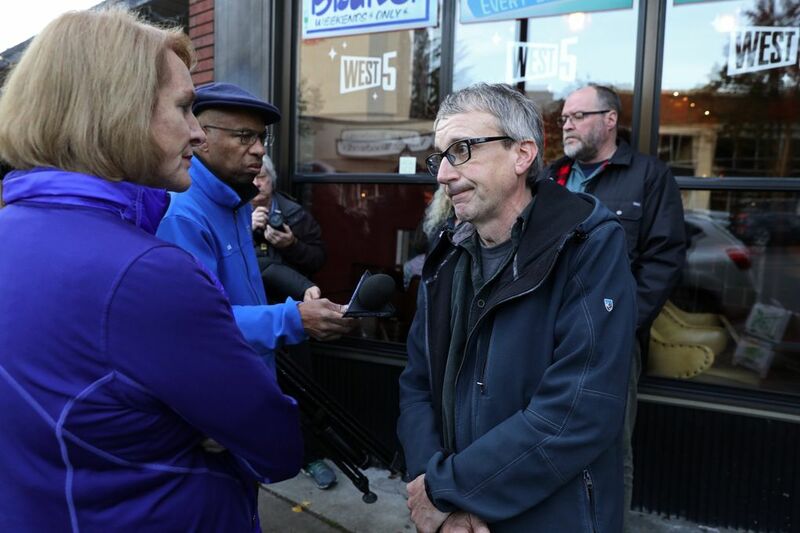 “She’s doing the right things,” bar owner Dave Montoure said, praising Durkan for showing more spending restraint in her budget than past mayors while urging her to hire more police officers to address public drug use and street crime. Last week, the council adopted the mayor’s 2019 budget with only minor changes rather than supporting Councilmember Kshama Sawant in another bid to raise taxes. Councilmember Rob Johnson described Durkan as a “back to basics” mayor. He said her measured and methodical approach is needed as Seattle tries to catch up with growth. This week, Durkan will highlight other deeds, including 681,000 pounds of trash collected from unauthorized homeless camps in the past year and an agreement to renovate KeyArena without public money. With City Attorney Pete Holmes, the mayor persuaded the Seattle Municipal Court to vacate marijuana convictions from before legalization and, with the council, she signed a law requiring gun owners to keep their firearms locked up at home. Fulfilling a campaign promise to immigrant and labor advocates, she advanced legislation extending additional rights to domestic workers. Marilyn Strickland, Seattle Metropolitan Chamber of Commerce president, gave the mayor a “solid B” grade. “I think most people want to see a leader succeed and demonstrate competence, and I think she’s doing that,” she said. Not everyone is satisfied. Like Yu, who said Durkan must do more to help nonprofits outbid luxury hotel and housing developers, local NAACP President Gerald Hankerson said the mayor is allowing people of color to continue to be pushed out of the city by high costs. Southeast Seattle Education Coalition’s Erin Okuno applauded the education levy’s passage but cringed when Durkan initially cut elementary-school programs from her plan. The reductions were mostly restored by the council. In her neighborhood, many voters still are taking cues from 2017 candidate Nikkita Oliver, Okuno said. “I think her voice resonates more,” she said. The mayor is trying to assist community organizations, she said, citing $5 million per year in Airbnb tax revenue earmarked for their anti-gentrification projects. “My regret is that we can’t do that more quickly,” she said. On homelessness, the Durkan administration has boosted shelter beds with enhanced services from 668 last year to 1,411, her office said, while adding fewer than 100 tiny houses, rather than 1,000. Durkan has come to view enhanced beds and system improvements as most important, she said. The city moved 35 percent more households to permanent housing in the first half of 2018 than in the first half of 2017, her office said. It’s not yet clear whether the administration will meet its goal of housing 7,400 people by 2019. Sarah Stewart said she voted for Durkan because she thought the mayor would make strides on homelessness. The 49-year-old from north Seattle, who has lived in her car and with friends since March, has seen little progress. The mayor appears to draw energy from neighborhood outings. On a recent Saturday, she visited a youth group in South Park, then held a town hall on Queen Anne. Durkan has yet to name a permanent transportation director, and traffic snarled in January by the Alaskan Way Viaduct shutdown could curb her momentum. But the mayor is feeling confident. 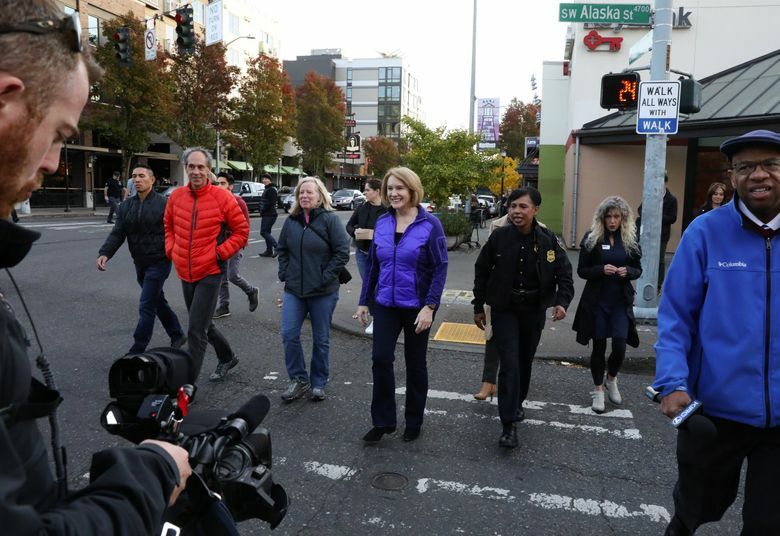 Even as she issued a warning to the audience — “It’s going to be bad,” she said, eliciting nervous laughter — and described the city’s preparations, Durkan sounded somehow upbeat.